A mystery writer (Hiromi Nagasaku) becomes involved in a murder case after the death of her lover. 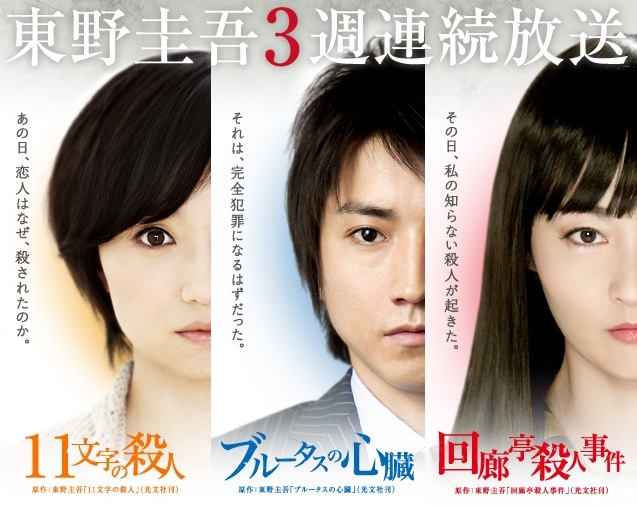 Fuji TV airs 3 of famed mystery writer Keigo Higashino's early novels in consecutive weeks in June, 2011. Susan Dec 21 2015 2:11 am Can you please tell me what the name of the song is at the end.